If you are in serious debt, the chances are you feel you will never get out of it. 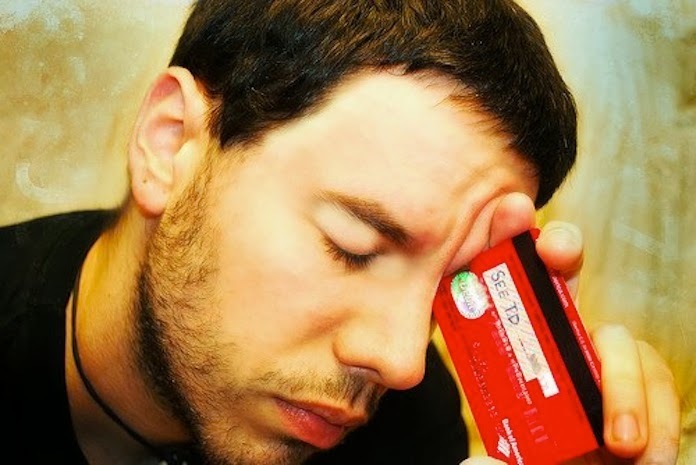 Perhaps you haven’t reached the point where final demands are coming in the door, or where collection agencies are calling you up every day – but it’s a struggle just to keep up with the minimum payments on your credit cards and loans, and still pay for food and accommodation. It doesn't matter how you got into the situation – something has to give, or you are going to end up in deep trouble. The first thing to remember is that you are not alone – personal debt is a real problem in America. While people went easy on spending during the financial crisis, consumers are starting to run up their debt again even more – in fact, consumer debt rose by a record amount last year. Total household debt is now at around $13 trillion and is still rising. The good news, however, is that many people find a way of getting out of debt – and you can too. Some people think that they can get their debt under control by simply borrowing more. This may sound paradoxical – but if they get some money in the door, they get temporary relief. However, this is just storing up more problems for the future – and is one of the reasons why people end up going bankrupt. The only reason that you should borrow is to pay off other debts – and only if you can get a better interest rate on your new debt than the debt you pay off. Also, even if you do this, don’t make the mistake of keeping some of the money back – use all of it to pay off other debts or your total debt will just increase. If you take a look at Stephen Dent's slideshare, you will see exactly why this is the case. What you need to do is to make a budget – figure out exactly how much you are spending each month, and how much you have coming in. Don’t leave anything out – that cup of coffee you have at Starbucks on the way into work each morning may not seem like a lot, but it can easily add up to $120 a month. Now, if your outgoings are more than your income, you need to do something. Cross out everything in your budget that you can do without – coffee, trips to the movie theater, your monthly fashion budget, and so on. Then, get creative – for example, take lunch into work rather than eating at the cafeteria. Once you've done this, you’ll be surprised how much money you can save. Then, list all of your debts and arrange them in order of size. Take every cent you have left over, and use it to start paying off the smallest debt. Make minimum payments on everything else. Once the smallest debt is paid off, then move onto the next one. Some personal financial advisers will tell you that the right thing to do is to pay off your highest interest debts first rather than the small ones – and it is – but you will be much more motivated if you clear a few small debts quickly. Once you have done this and feel you are making progress, then is the time to start tackling your high-interest debts.